Fr Pius Noonan OSB, Prior of Notre Dame Priory Tasmania, recently came to Perth for a series of talks, outlining the history of the new Benedictine monastery. 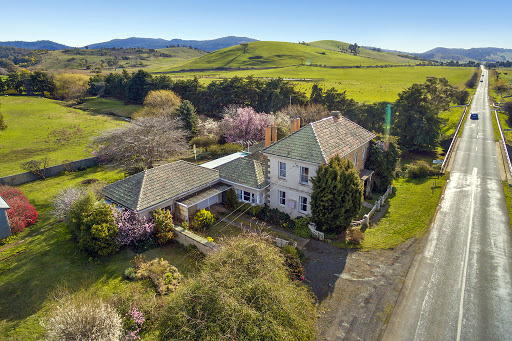 The Tasmanian Priory has been the focus of recent media articles and is a genuine curiosity given its position at the edge of the world, almost as far from the Monasteries of Europe as east from west. The first presentation, for priests and clergy, took place on 27 March at Belmont Parish, while the second was open to the laity and any other interested persons, and was held at Mt Lawley Parish. The first presentation was particularly poignant given that a recent novice, Israel de Brito (now Brother Francesco Maria), was a local parishioner before deciding to pursue the call of monastic life. The idyllic rural setting of the Notre Dame Priory, Tasmania. Photo: Sourced. A key focus was the role of monastic communities in meeting the needs of an increasingly secularised Australian society at a time when so many churches of different denominations are closing. Fr Noonan attributed the first profound calling for the establishment of a monastery to the Watkinsons, a lay couple who journeyed repeatedly to Europe from 2000 to 2007 to speak to Abbots about the potential for founding an Australian congregation. “They were troubled by the direction of our culture and civilisation, and their vision was to revitalise their homeland through an ‘injection’ of traditional, contemplative Benedictine monastic spirituality,” Fr Noonan explained. “The Watkinsons came to understand the pivotal role of Benedictine monasticism in civilizing the western world, and that this is what was needed to heal the critical illness of the West today. 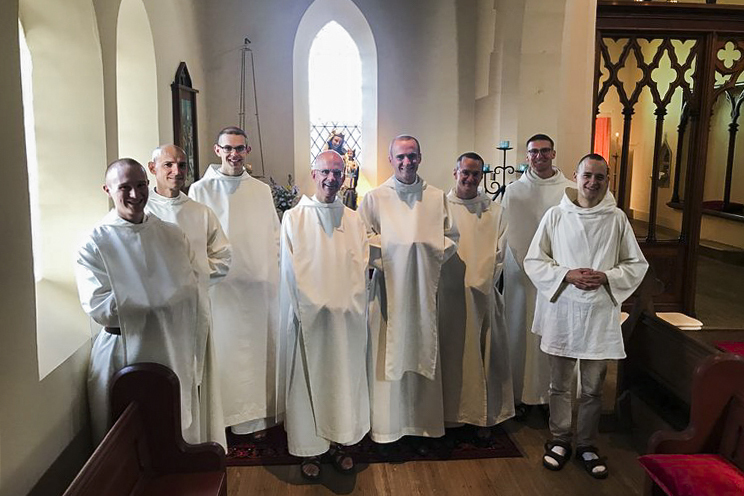 Fr Noonan brought attention to the fact that the example set by the monastic life of a monk is in stark contrast to the modern lifestyle and how that peaceful life of prayer, contemplation, work and fellowship is actually a sign of hope for the Church. “Essentially we can say that a monk’s life is about looking for God, seeking God as St Benedict says,” Fr Noonan said. “It is noteworthy that we have never had trouble filling up the retreat centres in Australia; whereas our problem elsewhere is usually finding ‘recruits’, here the problem was knowing where to put them. With each visit to Australia, the numbers of retreatants steadily increased, to the point where we added additional retreats. “Vocations began to present themselves, looking for somewhere to go and live a life that the retreats inspired them to seek. Fr Noonan emphasised the support of the Archdiocese of Hobart, particularly Archbishop Julian Porteous, in welcoming the Benedictine community. “Archbishop Julian Porteous has welcomed us with much paternal warmth, and great openness to the ways of the Holy Spirit, who “breathes where He wills”. On 22 February 2017, as part of the feast of the Chair of St Peter, the new Notre Dame Priory was initiated with a solemn High Mass in the presence of Archbishop Porteous at St. Patrick’s Church in Colebrook, Tasmania. Notre Dame Priory currently has, in addition to the Prior, three junior professed monks, three novices and one postulant living provisionally in Rhyndaston, Tasmania, but they will soon move to a large property they have purchased in Colebrook and where they hope to build a full traditional style monastery. At this stage of the project, the young candidates are receiving their initial formation to monastic life, which includes study and practice of the sacred liturgy, study of Latin, the psalms, catechism and philosophy – with regular breaks for the prayer and physical work that form the backbone of the Benedictine life. Since their main task is the praise of God through the Divine Office and intercessory prayer for the world, they welcome any prayer intentions.